Design Your Dream Pool Today! At Select Houston Pools and Spas, we go above and beyond other pool builders to make sure you are 100% satisfied with the pool or spa design. We enjoy transforming your backyard and your lifestyle. Request your free, no obligation, in-home design consultation with our professional designers. Since 1965, with over 10,000 happy customers, Select Houston Pools has become Houston's leader in the swimming pool industry offering exceptional workmanship and amazing customer satisfaction. We earned a statewide reputation as top rated swimming pool builders in Houston by maintaining a strict commitment to customer service and a genuine respect for the wishes of our valued clients. Thanks to our famous Price Guarantee – designed to avoid the unforeseen charges many of our competitors tack onto their invoices – this pool building houston company delivers a finished product you can be proud of at the quoted rate. For many families who make their home in Houston Texas, building a backyard swimming pool to help escape the heat during sweltering summer seasons has been a long held dream. Thanks to our cutting edge pool design technology, what was once a major project in terms of financial commitment has become an affordable investment in comfort and convenience for your family’s future. Rather than pay overpriced fees to bring your family to the local water park, or be forced to share the water with dozens of other people at the public pool, you can make a significant lifestyle change today by building your own backyard pool. Our pools combine classic elements with modern design and décor staples such as lagoon style curvatures, straight rectangular pools perfect for lap training, water features and fountains, built-in acrylic spas, and supplementary structures like gazebos. In addition, we also specialize in the latest trend to sweep the swimming world, as our Infinity Edge design creates the illusion that your pool extends all the way to the distant horizon. 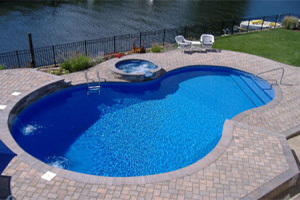 We work together with another Houston Pool Builder to offer the best in pool design and affordability. 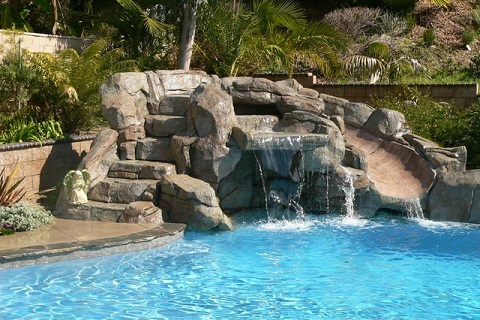 During more than two decades serving Houston Texas residents, we’ve helped thousands of customers design and build their dream pool without breaking the bank. No matter what your dream pool looks like, we are confident in our ability to design and build a swimming pool that is perfect for you and your family. 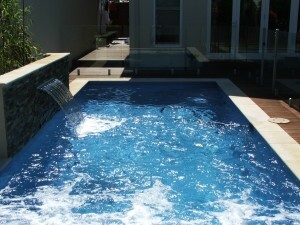 Design your pool today!! “ My new pool has changed my life in so many ways, from the daily exercise I now enjoy to the summer days spent splashing around with the kids. I never knew how simple and affordable building my own backyard pool could be! “ I grew up in Houston, Texas and all of my neighborhood friends had backyard pools. Since then, I’ve always dreamed of building a pool in my own backyard, and Select Houston Pools made that dream come true. The design phase was fun and I was asked to contribute ideas, while the actual build was painless and faster than I imagined. ©2015 Select Houston Pools. All rights reserved.